Dreaming of the Lakefront Life? Is there a lakefront home in your future? Have you been contemplating purchasing, not only a home, but a lifestyle? Lake Hopatcong, the largest motorboat lake in New Jersey, awaits you! As of today, April 16, 2016, there are 85 lakefront homes available for sale on Lake Hopatcong. Both Morris County and Sussex County share her shores, with Jefferson Twp., Roxbury and Mt. Arlington located in Morris County and Hopatcong, in Sussex County. Whether you’re looking for a weekend retreat or primary residence I’m always aware of what’s for sale on or around the lake. Working together, you can trust that you’ll be uber informed of which lakefront homes will suit your budget and expectations! 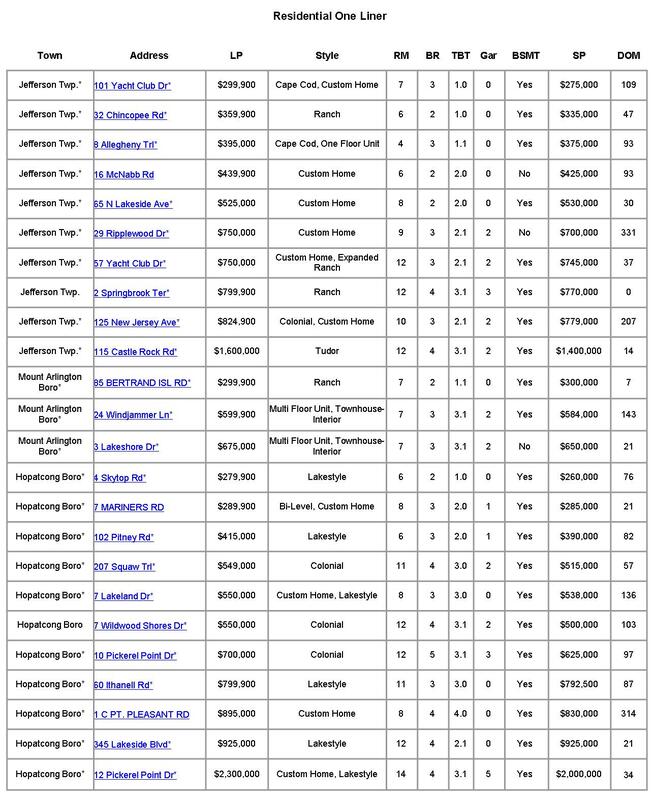 Here’s a comprehensive list of what lakefront homes are currently available. Contact me by phone or text at 201-240-8699, or email at AntoinettesellsNJ@gmail.com to discuss any one of these homes! Look forward to hearing from you! LP = LIST PRICE. STYLE = TYPE OF HOME. RM = TOTAL NUMBER OF ROOMS. BR = BEDROOMS. TBT = TOTAL NUMBER OF BATHROOMS (A .1 VALUE MEANS NUMBER OF POWDER ROOMS; I.E., TBT: 2.3 MEANS 2 BATHROOMS WITH A SHOWER/TUB & 3 POWDER ROOMS, I.E., A TOILET/SINK WITH NO SHOWER OR TUB. GAR = GARAGE SIZE. BSMT = BASEMENT. DOM = DAYS ON THE MARKET. 17 Fernwood Place, Mountain Lakes, NJ ~ Open House, Sunday, February 28, 1 – 4:00 pm! Looking For Your Dream Lake Front Home on NJ’s Largest Lake? Here’s What’s Available NOW! Following are details of currently available lake front property on Lake Hopatcong. Please click on the chart for a readable view. Call “Antoinette” Scognamiglio for more information about any property listed and to secure an appointment! Are you considering purchasing or selling a home in Morris, Sussex or Passaic Counties? I specialize in those territories, with expertise in Lakefront property. As a relocation specialist, I take exceptional care in assisting my clients in finding their new home and community. Certified as an Accredited Staging Professional, I work with my home seller clients to ensure their home offers the highest level of appeal to buyers (and Realtors®!). Please visit my website to learn more about my philosophy in conducting business. (C) Antoinette Scognamiglio, 2014. All Rights Reserved. “Antoinette” Scognamiglio (licensed as Maria), Sales Associate, Coldwell Banker Residential Brokerage, Route 46W & Crane Road, Mountain Lakes, NJ 07046. Cell Phone: 201.240.8699. Email: AntoinetteSellsNJ@gmail.com. Following are details of Lake Hopatcong’s lakefront property closed transactions for the third quarter of 2014. Please click on the chart for a readable view. What Sold on Lake Hopatcong in 3rd Quarter 2014? Are you considering purchasing or selling a home in Morris, Sussex or Passaic Counties? I specialize in those territories, with expertise in Lakefront property. As a relocation specialist, I take exceptional care in assisting my clients in finding their new home and community. Certified as an Accredited Staging Professional, I work with my home seller clients to ensure their home offers the highest level of appeal to buyers (and Realtors®!). Please visit my website to learn more about my philosophy in conducting real estate business. (C) Antoinette Scognamiglio, 2014. All Rights Reserved. Imagine living a vacation lifestyle all year long! Well, your dream is easily attainable as there are a good number of lakefront homes available in every price range! There are currently 68 lakefront homes available on Lake Hopatcong, New Jersey’s largest motor boat lake. Following is the selection based on Townships, list price, style of home and other pertinent details. For specific information on any of these properties or to arrange an appointment to see any home, I can be contacted directly at 201.240.8699. 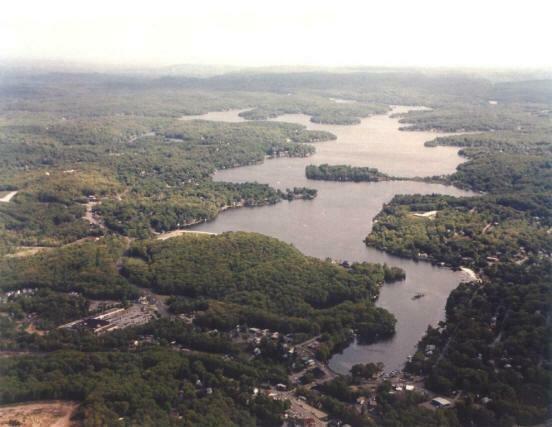 Lake Hopatcong is a gorgeous lake and a fun place to call home. Visit my website for more information and photos of these homes. Morris County is home to many lake communities, among them Indian Lake, Lake Mohawk, Rainbow Lakes, Estling Lake and the various lakes in Mountain Lakes. Call me to discuss your needs and I’m certain I can introduce you to a community you’ll love!